The DGA (French Government Armament Agency), Telecommunication and Information Programmes Department, has awarded EADS Astrium a contract for the design and production of a space based optical early warning system demonstrator. EADS Astrium is the prime contractor for this 124 M Euros programme and will supply the alert and monitoring ground segment. Alcatel Space will develop the satellites whilst EADS Astrium will be responsible for satellite integration and in-orbit operations. The demonstrator called SPIRALE (Système Préparatoire Infra-Rouge pour l'Alerte) covers the supply and operation of a complete system able to collect and analyse infrared imagery against a land background, in order to detect ballistic missiles during their boost phase, just after launch. 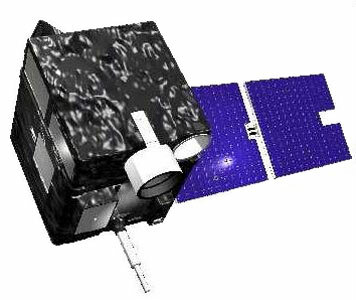 The space segment consists of two 120 kg class micro-satellites operating on an elliptical orbit, to be launched by an Ariane-5ECA as secondary payloads in 2008. This is the first demonstration of its kind to be conducted in Europe. It will pave the way for a future operational, early warning optical space programme. This will form a strategic link in an anti-ballistic missile defense system and will also contribute to other operational missions, such as proliferation monitoring.